What’s Cooking at the Metro Cooking Show? Have I mentioned that I’m not a cook? I prepare meals 3 times a day for my family, but I am not a cook. 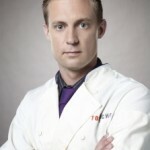 I love cooking shows like Top_Chef and Food_Unwrapped. Ever heard of this guy?I’d love to cook like Guy or Paula or Giada. Since culinary school is in not in my future, I am going to the next best thing — Metro_Cooking_DC! The Metro Cooking DC show will be Awe.Some. A mix of vendors, cooking demonstrations, celebrity cooking shows, book signings, and much, much more. With a general admission ticket, you get access to some of D.C.’s hottest chefs, such as, Richard Blais from Top Chef Season 4 (think: molecular gastronomy) and current Top Chef contestant — Bryan Voltaggio. I wonder if he will be in the Top Chef finals with his brother? In addition to local chefs, who will be at the Metro_Cooking?How about Giada de Laurentiis, Guy Fieri, Tyler Florence, the Neely’s, and Paula Deen and her sons, Jamie and Bobby. Celebrity cooking demonstrations and book signings are in addition to the general admission tickets. For details, click here.